War, drug addiction and disease have exposed the children of Ukraine to trauma that will last them a lifetime. 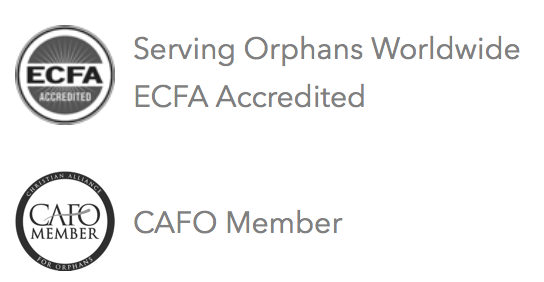 Hope is scarce but Serving Orphans Worldwide is proud to support three children’s homes who are working to change the fate of the children left abandoned and orphaned as a result of the harsh realities they face. Eastern Ukraine is still involved in a conflict that has left much of the country devastated. Since it began, thousands of civilians have been killed, and 1.7 million have been displaced. As with most systemic problems, they are interwoven, with one prompting another, creating a whole host of problems for its citizens. Substance abuse is one of the most prominent issues in Ukraine, with heroin being the primary substance of abuse because of easy access and high availability. According to the International Narcotics Control Strategy Report (INCSR), released by the US Department of State, 68,220 drug addicts were registered in Ukraine as of May 2015. However, the report also estimated that the actual number of people with substance abuse disorders in Ukraine could be as high as half a million. With drugs flooding the nation, the country has been ranked as having one of the highest rates of HIV infection in all of Europe. Pastor Gennadiy Mokhnenko knows these realities all too well. In the city of Mariupol, Pilgrim Republic Children’s Home is located just nine miles from the front lines of the war. Many of the children who have been rescued by the ministry were abandoned because of drug addiction and other devastating issues. They were left defenseless on the streets, exposed to crime, drug abuse, sexual assault and violence. Pastor Gennadiy believes that an integral part of the healing process is to restore trust and build positive relationships between the children and law enforcement, and to overcome any negative associations that the children may have because of past interactions. The staff and volunteers at Pilgrim Republic have been working in partnership with the local Police Department, creating a series of events designed to get to know the children, educate them about resources available and inform them of their rights. Most of all, these events aim to rebuild trust, and help the Pilgrims see the police as a helper and friend. This past month, the children were nominated by the police for positive attributes like academic studies, appearance, behavior and many others. The winners received personal gifts with police logos and certificates. The city of Slavyansk, also in Eastern Ukraine is home to another refuge for children that SOW is proud to partner with. Sails of Hope also rescues children who have been abandoned and orphaned because of these same issues. Recently, Lisa, Nastja and Sascha came to Sails of Hope, and for the first time in three years, they are regularly attending school and they are beginning to see hope for the future. Four years ago, Lisa, Nastja and Sascha’s parents had a successful business and lived comfortably. When the war started, they had to flee. With the crash of the Ukrainian economy, they lost their business and their mother became sick. After several months of suffering, and without access to medication, their mother died. Their father couldn’t cope and turned to alcohol. For the next two years, their father moved them from city to city in search of income and to find healing from the past, but was unsuccessful. Since reaching out to Sails of Hope, their father is attending church, going through a rehabilitation program and has been sober for two months. Pearl Orphanage is located in Alexandria, a small village in Northwestern Ukraine. Home to 37 children, Pearl Orphanage is a much needed refuge. Though giving care and love is their top priority, their ultimate goal is to find a permanent placement for their children, so they have a forever family to call their own. This month, they were able to celebrate the adoption of four of their children- Alina and her sister Alexandra, and brothers Roman and Maxim. We are truly blessed with such a wonderful news. To learn more about how you can get involved or to designate a gift directly to one of these homes in Ukraine, visit: soworldwide.org/donate and 100% will go directly to meeting the needs of these children in Ukraine.